Explore the magic of Hogwarts castle! 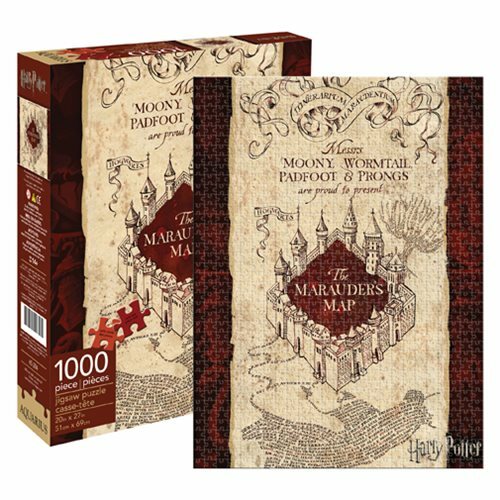 This 1,000-piece jigsaw puzzle features the Marauder's Map first scene in Harry Potter and the Prisoner of Azkaban. The Harry Potter Marauder's Map 1,000-Piece Puzzle measures 27-inches tall x 20-inches wide. Among the artwork and words on the front are "Messrs Moony, Wormtail, Padfoot, and Prongs are proud to present The Marauder's Map." Measures 14 and up.